Shopping for everyday items online via the Qantas Mall and Velocity eStore is a simple way to earn more points, as I’ve written about many times in the past. Both Qantas and Virgin Australia can connect you to dozens of retailers, from department stores to specialty outlets, allowing you to earn more points than you would by simply going to the retailer directly. 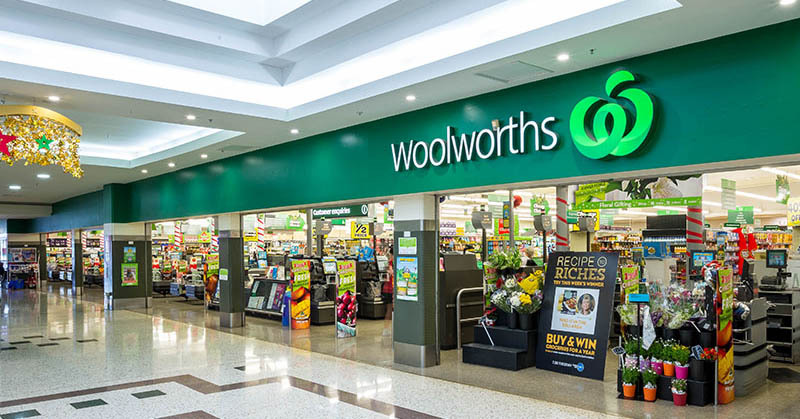 The Qantas Mall has added Woolworths to its mix of retail partners, which means you can now earn extra points on your supermarket shopping – if you’re willing to do it online, that is. 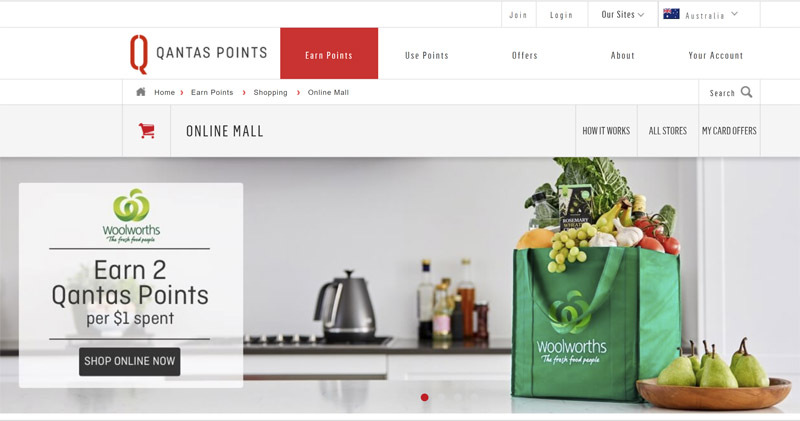 Qantas is offering 2 Qantas Points per dollar spent with Woolworths online (via the Qantas Mall), which of course is in addition to any points you’ll earn through Woolworths’ own loyalty program or your credit card rewards program. Note that you can’t earn points on Woolworths gift card purchases made this way. As is usual with the Qantas Mall, you’ll have to first log into your Qantas Frequent Flyer account and then follow the link to shop with Woolworths, making sure cookies are enabled on your browser so Qantas can track your purchase (you can check if cookies are enabled here). The bonus points will be credited to your Qantas Frequent Flyer account within a few weeks. Once you’ve made your purchase, you can pick it up for free or get it delivered. Woolworths charges up to $11 for delivery, or you can buy a pass to get unlimited deliveries when you spend over $100, with discount codes available for this until the end of March. You can also get your first delivery free, which gives you a chance to try the delivery service out for no cost. And, of course, always make sure you pay with a high points-earning credit card, like the Qantas Amex Ultimate Card that earns 1.5 Qantas Points per dollar and has a handy sign-up bonus available right now. Wonder if Coles & Velocity would consider a tie-up like that. 2 poins per $ is lucrative considering you can earn another 3 points per $ by paying through AmEx Plat Edge (not qantas points ofcourse), plus the usual Woolies rewards points. Thats decent points stacking. It’s a great deal. I wouldn’t be surprised to see Coles/Velocity do something similar!